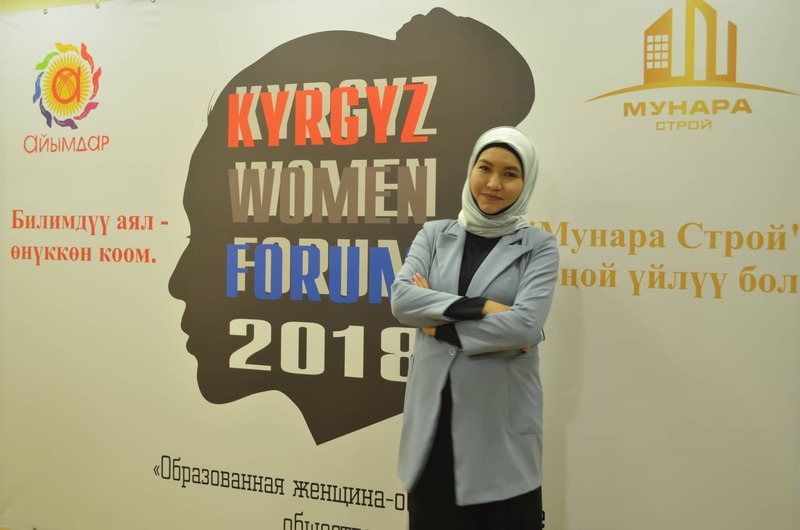 The young people of Kyrgyzstan think the situation of religious freedom and conditions for the Muslim population in the country are better than in neighbouring states of Central Asia. 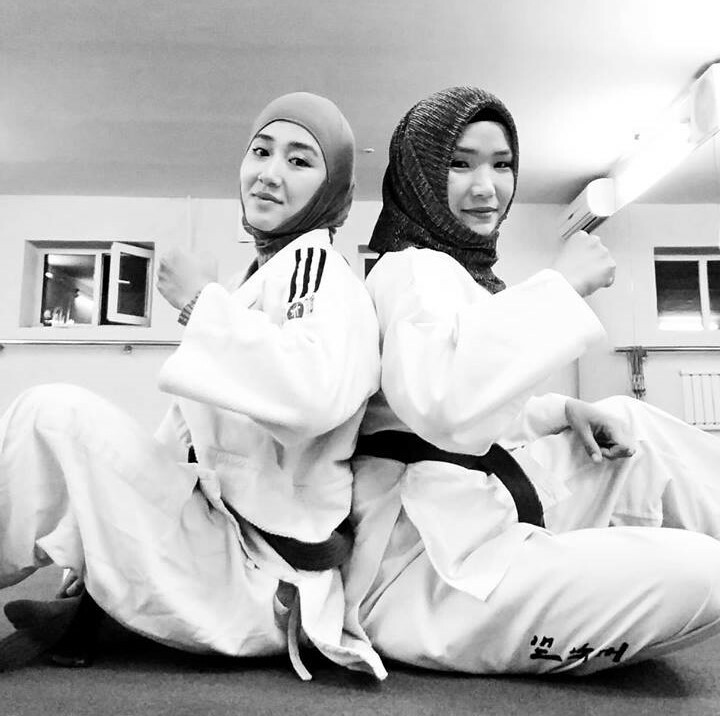 Women wearing hijabs in Kyrgyzstan use their potential in all spheres of life – as teachers, doctors, athletes, and public persons. — I used to wear a hijab only during the prayer time. Wherever I went, I always had a hijab in my bag. I couldn’t even imagine that I would always wear a hijab. But, in a while, I felt myself double-faced and this feeling grew stronger every day. Everything has changed after my husband’s going on hajj, and I started wearing a hijab, and I am thankful to God for this happiness. Generally, my family likes my appearance, but some of my acquaintances say I’m too young to wear a hijab. My chiefs and colleagues have supported my choice because they’ve known I perform namaz and fast during Ramadan. I remember only one case when a professor rebuked the head of the department for not performing explanatory work in the team and for not saying that wearing a hijab was bad. In response, the head of the department said it was his employee’s choice and he respected it. He told me not to get upset at the professor’s words. Shaiyrgul Latypova with colleagues. Photo from her personal archives. Our department examines and treats the veterans of the Great Patriotic War and Soviet-Afghan War. Our patients generally have chronic diseases and get treatment 1-2 times a year. After I started wearing hijab, I noticed that my patients trusted me more. Even those who belonged to other religions treated me loyally. In Islam they say, everyone must be educated. I am boundlessly grateful to my parents for finding myself in medicine. They gave me education and put me on the right track. Being a doctor and helping people is a noble profession and I empathise with every patient. People can be treated to some extent with a good word and good care. Wearing various kinds of hijabs has become a popular trend in Kyrgyzstan among women due to the spread of Islam among population. According to the State Commission for Religious Affairs of Kyrgyzstan, in early 2015 the number of religious associations and organisations registered in the country was 2.6 thousand. By 2019, their number has increased up to 3,257, including 2,700 Islamic organisations. If in 1990 Kyrgyzstan had 39 mosques, in 2014 their number in the country increased up to 2,362, and today there are 2,600 mosques in the country. 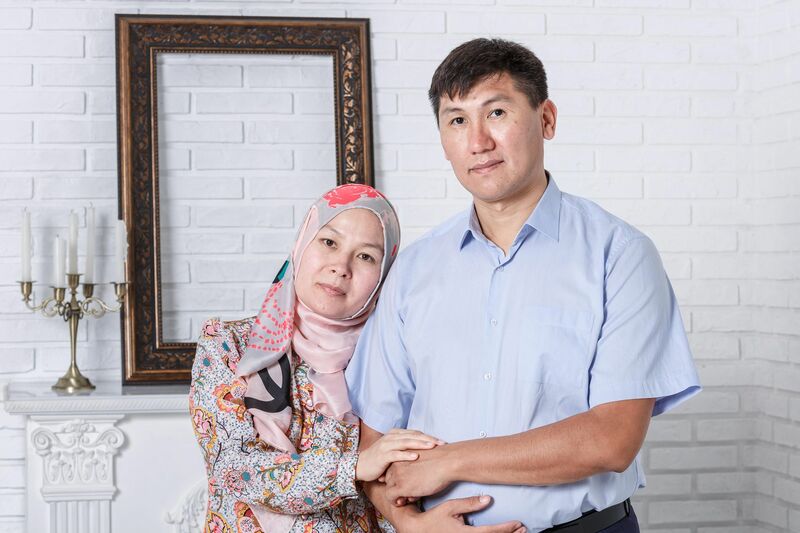 Wearing a hijab at schools, universities or state institutions is officially prohibited in Kyrgyzstan. The ministry of education stays unclear about wearing a hijab by students and refers to the school uniform requirements. Nevertheless, there are isolated cases when schoolgirls and teachers wearing hijabs encounter discrimination and misunderstanding. 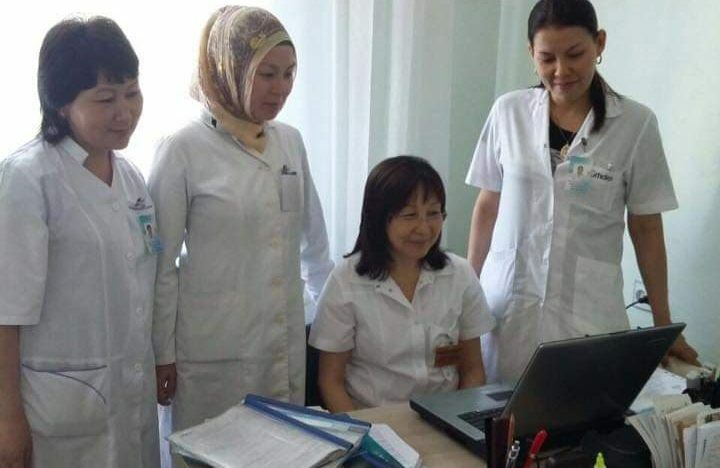 Zhazgul Kelgenbaeva is a candidate of chemical sciences, assistant dean, international students department, Akhunbaev Kyrgyz State Medical Academy (KSMA). She teaches chemistry to international students in English, does researches on nanotechnologies. She has earned a PhD in a Japanese university in Nanotechnologies. 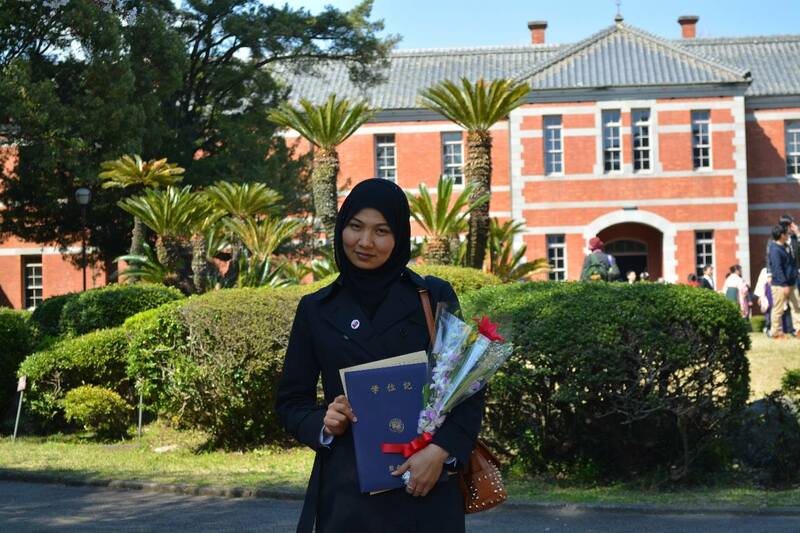 — I started wearing a hijab when I was studying in Japan. I’ve decided to read namaz as a Muslim and to fulfil the covenants of Allah. A hijab is not only about my appearance, but about manifestation of my inner world. For me, it’s a sign of prosperity and success. As to the attitude of other people, sometimes they dislike me for my clothing. But I’ve never heard anyone saying bad things to me. I’ve never met any obstacles because of wearing a hijab during my study or work. I’ve never seen aggression from people. We speak about democracy in our country, and it means not only the right of clothing choice, but also the right to treat everyone equally, regardless of their appearance. As to the ban on hijab at schools, our society has a bunch of other issues that need to be solved. Many girls don’t complete schools, drop out of schools, get pregnant at an early age, become adults early. Young girls should be brought up properly, put on the right path, instead of introducing any bans. According to the recent research of the Institute for Islamic Studies, the young people think the situation of religious freedom and conditions for the Muslim population in the country are better than in neighbouring states of Central Asia, Russia, Western states and China. This is evidenced by results of the opinion survey held by the state commission for religious affairs held in 2016 where every third respondent was positive towards women wearing hijabs. Shakhrizada Adanova – public figure, founder of the Aiymdar KG fund, former journalist. The fund has been operating for 3 years and provides legal and moral support to women in migration by helping them to be socially active. — I’ve been wearing a hijab for more than three years; it’s the result of my reflection on life. According to Islam, a woman must be veiled from others. This is our tradition, as well. When I first started wearing a hijab, my parents were against my decision. I said it was unusual for them because they grew up in a soviet society and explained it would be better for them. Then, they understood me. Unfortunately, sometimes I encounter negative attitude from the society. Some say I dress up like an Arab woman, but they actually haven’t seen the Arab clothing. I don’t wear Arab clothing, it’s Muslim clothing. Every Muslim woman must be veiled. Wearing a hijab is not an obstacle in my life. It’s a kind of clothing, how can it be an obstacle to anything? Vice versa, my appearance causes more trust in people around me. It’s good we live in a free country where you can wear whatever you wish. I think it’s not important what a person wears, it’s their skills that matter most. If a person is educated, has a spacious mind, speak few languages, he will definitely be hired. He won’t be neglected as his knowledge and skills will always be needed by the society. 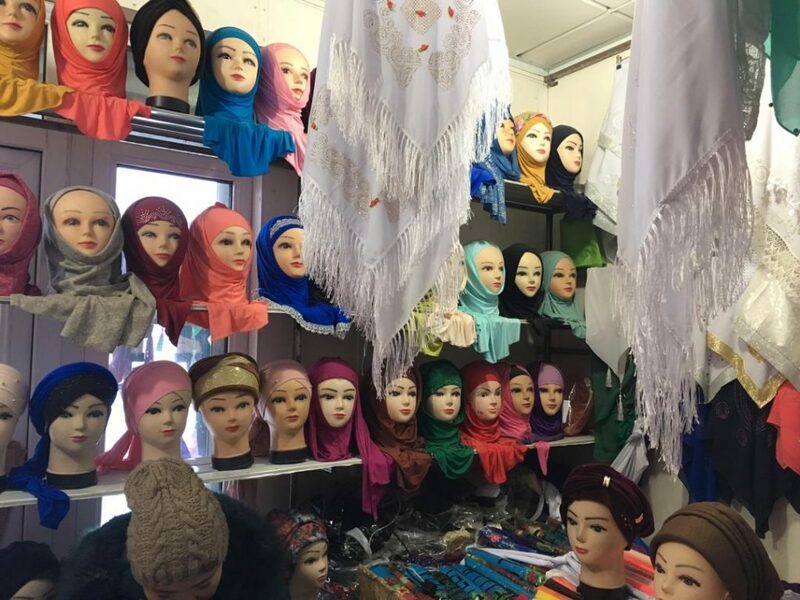 Headscarves that fit every taste are available in the markets of Kyrgyzstan. They are fancy, beautiful and feminine. Some buyers, once they try on a hijab, choose to wear it. — The first time I wore a hijab was by accident, I tried it when I was on the market with my friends, who were already wearing hijabs. They were choosing, trying them, and I decided to try it on. I liked it. When I came home, my husband wondered and said it was self-indulgence and tomorrow I most probably would take it off. However, since then, I wear the hijab all the time, and later on I started to read namaz. The hijab stops me from doing bad things. I want to deserve wearing it, and to fit the bill. My acquaintances have taken my new image well and I look neat and clean in it. I started doing sport a year ago. Taekwondo is the best stress relief for me. I feel better after workouts. Many girls wearing hijabs work out in our gym and I sometimes help the trainer.